← Correct Bible Interpretation Rules Part 3 — The Bible Is Not Complete! Study Genesis to see and understand the creation event first. Study Genesis to see and understand the God who created everything second. Study Genesis to see and understand the end of the world. In studying just the first three verses of Genesis 1, I have counted over 15 different direct subjects to study in the entire Bible and I omitted the smaller more common Hebrew words from this count. Here is a list of the primary or dominate subject Hebrew words in these three verses. Every word occurs at least once and when more than once I included a count after the word in parenthesis. Surely you can begin to see how complex the Bible is by examining this short list of subjects. Searching the Old Testament for every one of these words would be a large task, but one that would be very beneficial to our understanding. Then crossing over into the New Testament would be of even greater benefit if we could determine which Greek words corresponded to these 16 Hebrew words. That is possible and maybe I should teach you how to do that here in this lesson. In order to cross languages barriers to find the New Testament Greek words that are directly related or associated to the Hebrew O.T. words we need to find an Old Testament quoted verse in the New Testament with that word exact in it. This is difficult but not impossible to do with a computer and a version of the Bible that helps to identify them. For example I like the NASB version of the Bible for this cause. They capitalize every Old Testament verse quoted in the New Testament so that they are all easily recognicable. I then do a search for the words that I am looking for like “heaven” and “earth” and then find them in a N.T. quoted verse. I did this search and found both words in Hebrews 1:10. This verse quotes Psalms 102:25. Then I go to Psalms and verify that the Hebrew words in that verse for “heaven” and “earth” are the same words found in Genesis 1 and they are, so I now know that the Greek words G1093 and G3772 are equivalent words for the Hebrew words H776 and H8064 respectively. Do you understand what I just did and why? It can be a bit complex and take some time and effort to accomplish, but yet it is very important and very beneficial for the subject study. When reading verse 3, it is very interesting to note that the first act of God in this creation event was stated to be the introduction of light back into the planet. Why was that God’s first action and how would that even be possible, if the literal sun did not exist already to shine on the earth? You see I believe the first chapter of Genesis is both literal and symolic of many greater spiritual truths simultaneously. This is the only way that one verse can teach you three different things using the same words. I believe that Genesis 1 was God’s way of teaching us some very complex hidden things by God selecting the specific stated order of every event performed, how it was recorded and described, how it was performed, and then by the timing of the event in the overall 6 day process. What God does is reveal to us greater hidden spiritual truths while creating our world system concurrently. In other words everything recorded in Genesis 1 is by divine superior design and has a hidden purpose to reveal a greater mystery. We should know from reading and studying the Bible that God has described Himself to be Light. Light is an important concept found throughout the Bible in many forms using many synonymous terms. 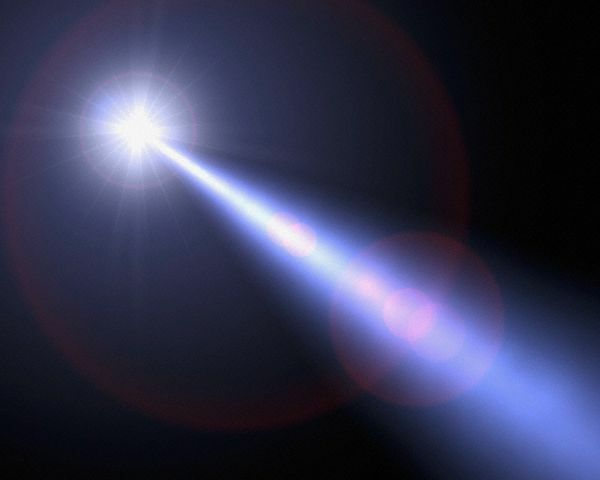 The first recorded mention of light is here in Genesis 1:3. One of the last direct mentions of light occurs in Revelation 22:5 and says some awesome things about this subject of how God will be to His people their eternal light. 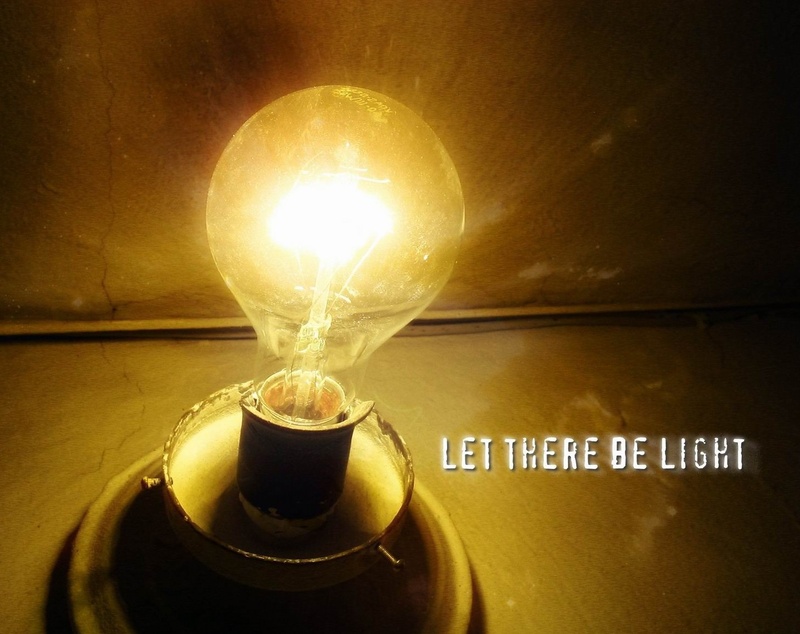 Therefore, when God said in Genesis 1:3 “Let there be Light”, what exactly did that mean and what are the imiplied reference for Jesus and the end of the age? If you only think naturally or carnally you will miss all of the spiritual messages from God hidden in His word. This is why when Jesus taught us the scriptures that said repeatedly “Let him that has ears to hear, hear” (Mat 11:15). What Jesus was claiming was that there was more said in the scriptures than what their natural ears were currently understanding. Let’s get into what the symbolic meaning of the “Light Be” command could represent in Genesis 1:3. We can see from several other scriptures in the Bible that there is no place that we can go that God is not already present there (Psalm 139:8). God is clearly an omnipresent being and all that means is that the Spirit of God is present everywhere simultaneously. Therefore, to attempt to teach that God was introducing Himself into the world, I believe would conflict with the omnipresent part of God’s nature. What then can these verses possibly represent? We can see from studying the rest of the chapter that God is repeatedly dividing something from something else and here in verses 3 through 5 God separates Day (light) from Night (darkness). In day 1 of the six day creation event God defines what day is and what night is and that is a much more significant revelation to consider than you know right now. It is also a stated major problem if the sun does not exist on this day of creation since day and night could not possibly occur without the existence of the sun and the earth’s rotation around it. Here is the first time we see God doing anything specifically in direct reference to a specific creation task. We should begin to ask the question “How does God create anything by definition and revealed methodology”? This is a critical point to understand as we will later learn why it is so significant. Men typically create things with their hands, they build a car, write a song, mow the grass all natural things involving the work of our hands. Where were God’s hands during this work? As we see later in the chapter God rests on the seventh day from all His work so we know that He was working while He was creating. But, I believe we can clearly see that God’s work methods were by a radical new method of labor. I believe, knowing how God works will help us learn how we should be working. But, I guess I won’t go there today. So what did God do? God looked out on the darkness that covered the earth in verse 2 and then what happened? What does darkness represent literally, figuratively and symbolcically? I believe this is a concept we need to define using the Bible. God spoke to the darkness and said “Light Be”. This is a pattern that will be repeatedly emphasized as we continue through the rest of the chapter and this work methodology is also found throughout the Bible in the lives of a number of key examples given to us by God. Most people who read the Bible don’t really understand what they read. As a result they gloss over their minds and basically ignore the words that are written for them to turn to alternative preconceived ideas or thoughts that they think that they do understand. It sure changes everything when you finally see what the actual words and meanings say; it will change your entire outlook on God and His Word if you let it in and accept it as truth. Notice what God reveals in these verses. In verse 8, God gives us the redefinition of the Genesis term “day”. This definition represents a new spiritual “day” concept and not a literal day reality. God is revealing a specific clue to the duration of the world by informing us that each day of creation represents a 1000 year period of God’s time. Peter is quoting a part of a verse found in Psalms to make this information plainer and to give it significance to our study. By examining the context of this statement you should be able to clearly understand that Peter is linking this new “day” length information back to the original Genesis creation account. Go back to verse 4 and you will see a clear reference to the “beginning of creation” a clear reference to the information found in Genesis 1:1. Peter immediately follows this verse with a statement concerning Genesis 1:2 where the world was completely covered with water. Then Peter in verse 6 declares that the world that then had perished. Did you know that there was a world that existed before our world? God was teaching us a revelation and giving us explanations concerning the first two verses of Genesis in this discourse. Next in verse 7 God declares information about the end of the age linking the beginning to the end again as we read in Isaiah. Immediately following this statement is verse 8 concerning the definition of a day as being 1000 years. God has placed such key detailed information here that it is amazing when you can see it. Did you notice that in verses 5 and 7 were two significant references to the Word of God? This reference is also a critical part of the Genesis Bible study. I believe if you do a search in Genesis 1 for the phrase “and God said” you will find it written 10 times in 10 different verses. God places extraordinary importance on His Word in the creation of the world. Peter reveals to us that the world that perished was created by the spoken Word of God and that the world that we live in currently was also created by the spoken Word of God. We learn as we continue that this is how God worked so keep this information in your mind as we continue in this series. Do not misapply 2 Peter to attempt to say each day of creation is a literal 1000 year period of time. That would be another misapplication of spiritual information. God uses natural things to help us to understand spiritual things. Therefore, I am a firm believer that the 6 days of creation are literal 24 hour periods of time. Take the information literally in Genesis whenever possible but also realize that every literal word has a symbolic meaning potentially attached to it. What I am doing is viewing the information as being literal and symbolic at the same time as I have stated before. Posted on October 13, 2009, in Bible Study, Chapter 1, Genesis and tagged Bible, Christianity, Church, creation, Genesis, God, Holy Spirit, Jesus, Prophecy, Religion, Truth, understanding. Bookmark the permalink. 4 Comments. This is so powerful. May God please give you more energy to teach us more. Where do I find Part 6?